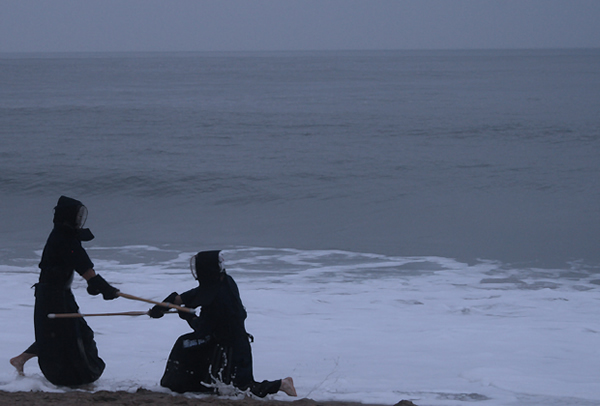 Gumtoogi is built on hundreds of years of Kumdo and Kendo tradition and adheres strictly to its fundamental philosophy and application. Through the innovations of 8th Dan Grandmaster Taejoon Lee, Gumtoogi has allowed for the evolution of one of the most respected Fighting Styles in the World. 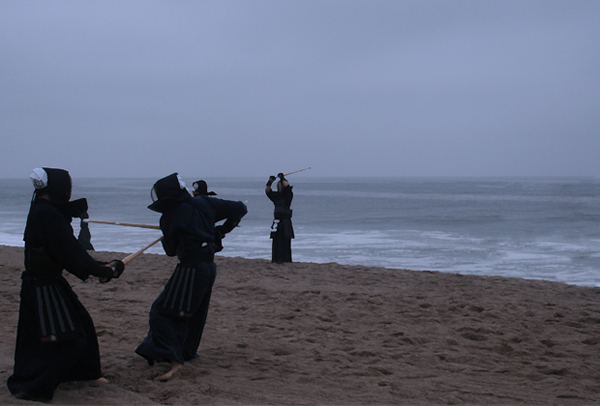 With the Introduction of Tari (leg) strikes and varied use of weaponry, Gumtoogi has changed the way Sword Fighting will be applied by the rest of the World forever. Alongside the invention of the Hache Hogu (Leg Armor), which enables the fighter to strike beyond the upper body, Grandmaster Taejoon Lee has developed the method with which the new fighting style can be applied. Never before have these techniques been used by anyone in Kumdo/Kendo. 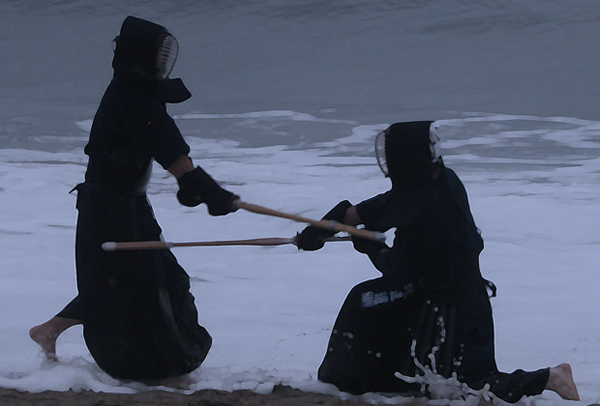 This method of fighting is truly unique to Hwa Rang Do®‘s weapon fighting program, and is in tune with its deep rooted belief of conquering new challenges. In battle, there are no restrictions as to where a fighter may strike. Warriors would attack each other’s vulnerable spots in order to weaken their opponents and achieve victory. It is not unheard of that a warrior would win by incapacitating his opponent to a level that he was unable to continue fighting. Gumtoogi welcomes this idea. The Ultimate Goal of Gumtoogi is to bring weapon competition up to the level of Hwa Rang Do®’s weapon fighting system, which includes over 108 weapons (blades and blunt weapons) in 20 different categories. In order to be an efficient fighter, a warrior must be proficient with a wide range of weapons.